You will have an array of guests attending your big day! 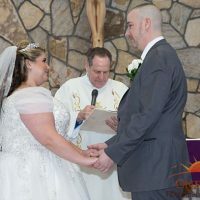 Comprised of your closest friends and family members, you will be surrounded by all of your loved ones as you vow your love to your partner. However, unfortunately, some invited guests may be unable to attend your wedding. But, this doesn’t mean that you still can’t share your special day with them! Steam It Live. Those who were unable to attend your wedding can feel as though they are there on your big day by watching it live! By having someone livestream your nuptials, they can tune in and watch your celebration as it unfolds. This is an easy and efficient way to share your special day. Utilize Hashtags. Guests will most likely be taking many pictures of their own on your wedding day. You can provide them with the opportunity to share their photos with others by presenting them with a hashtag to post when exposing the photos on social media. Then, guests who are unable to attend your wedding can just simply search your specific hashtag, and view all of the photos posted from your big day. Share Your Preserved Memories. 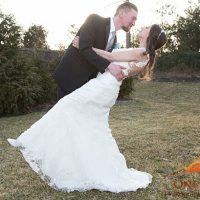 By hiring a professional photographer and videographer to capture your nuptials, know that you will be presented with lovely photos and a wonderful video from your wedding. So, after the big day, you can then create albums and videos to send to guests who couldn’t attend your wedding, so that they too can view your celebration. All of your loved ones should be able to be a part of your big day! These are just a few ways in which you can share your own wedding with guests who were unable to attend. 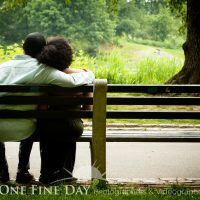 If you are ready to have your own wedding captured by a wedding photographer in Long Island, New York, be sure to contact us here at One Fine Day Photographers & Videographers! We believe that every milestone in your life should be beautifully preserved, and would be pleased to ensure that yours is.